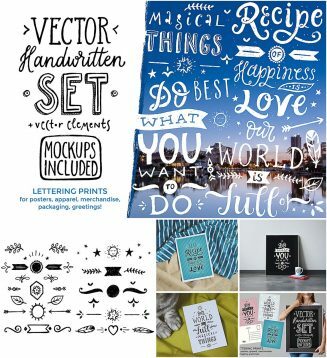 Introducing vector handwritten elements and lovely mockups for your personal designs of postcards, posters, ads, apparel etc. Free for download. File format: .eps, for Photoshop or other software. 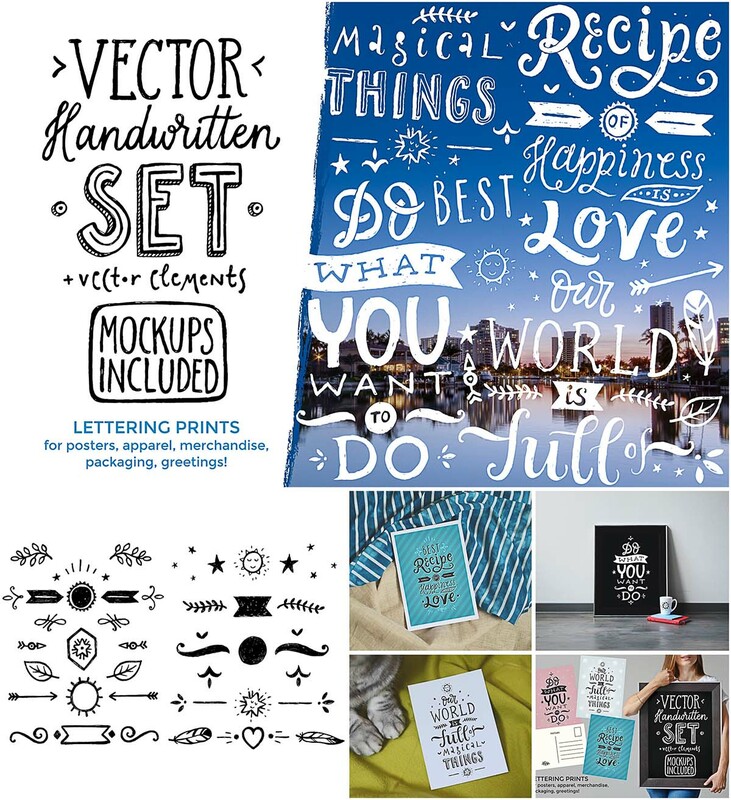 Tags: cute, hand made, handwritten, mockup, postcard, swirls.